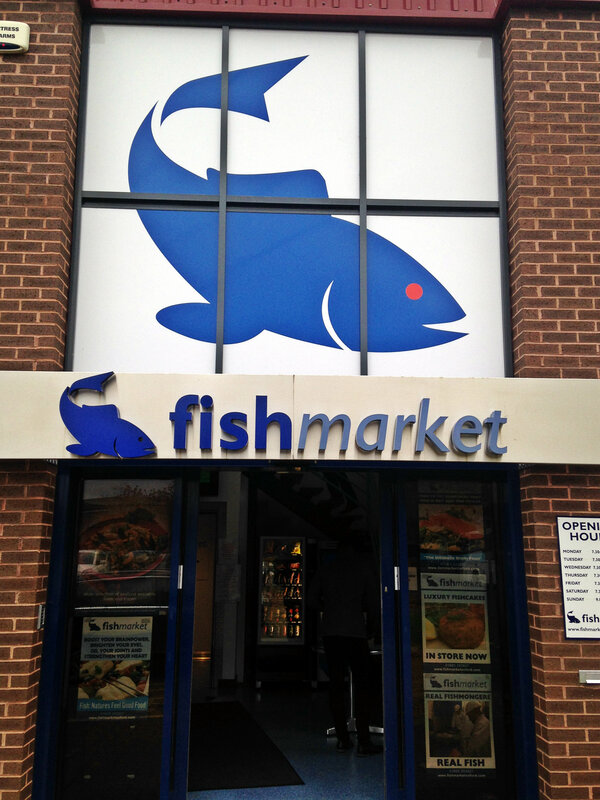 Welcome to Oxford fish market! 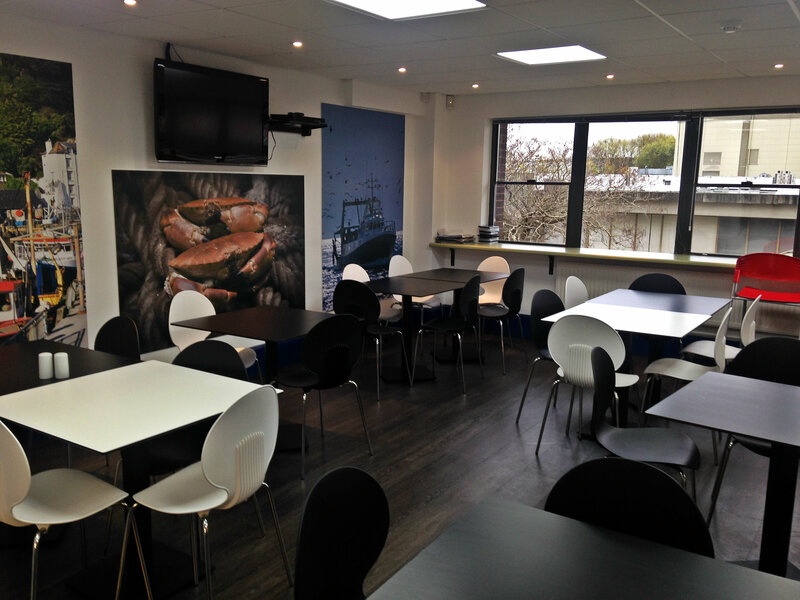 It’s located in Osney Meads industrial estate and has the best and the freshest fish in the city. 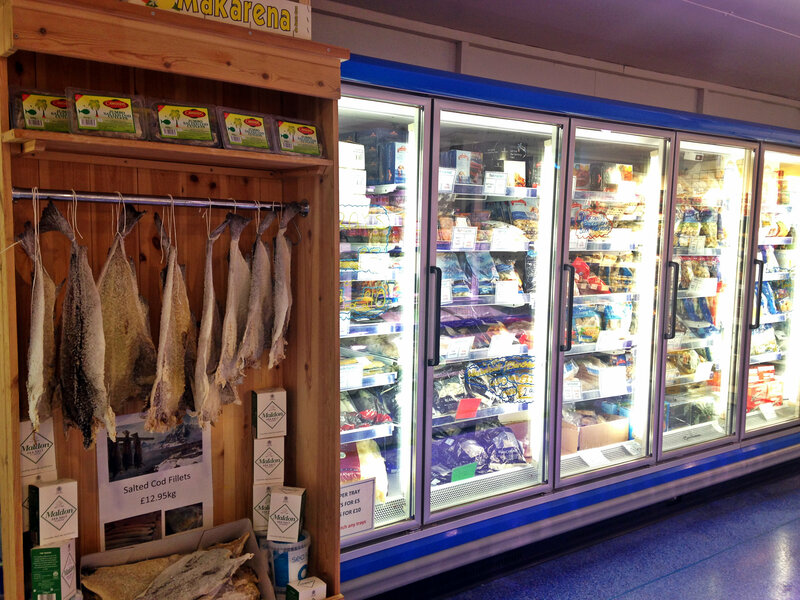 The variety of fresh fish is astonishing. 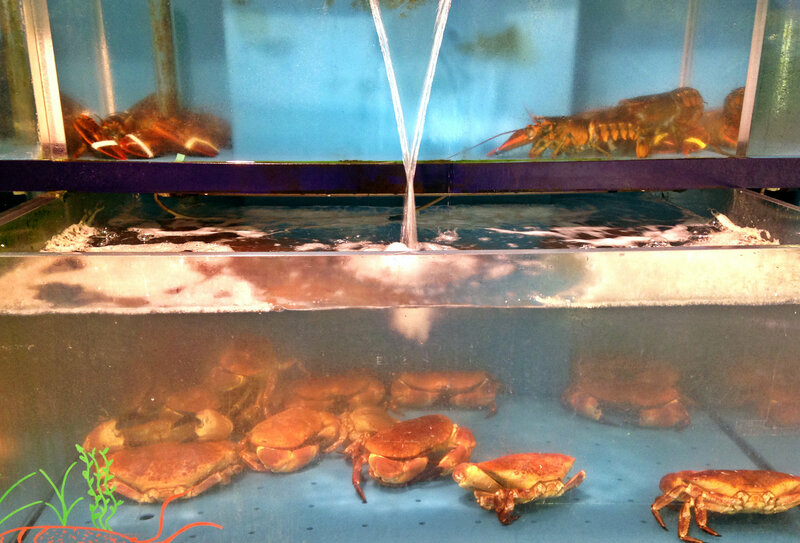 Fancy a crab or a lobster for dinner? No problem! 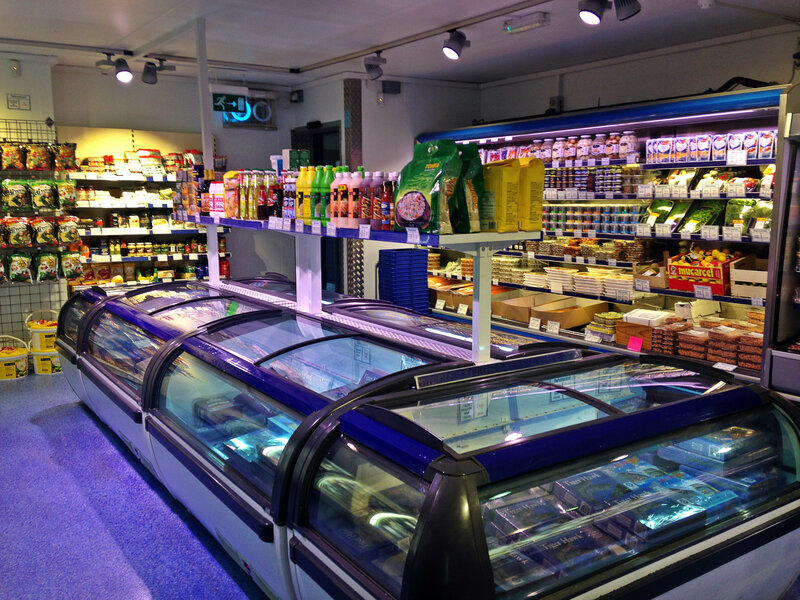 The shop also has a variety of frozen fish products and all possible condiments you can think of for your fish dish. The magic happens above the shop – in this little cafe. 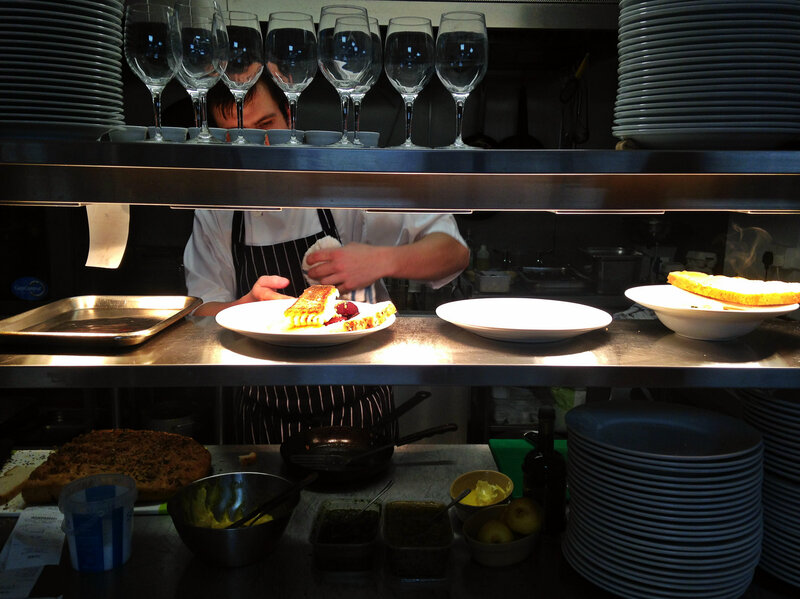 From Tuesdays to Friday this amazing chef whips out top quality, delicious fish dishes. 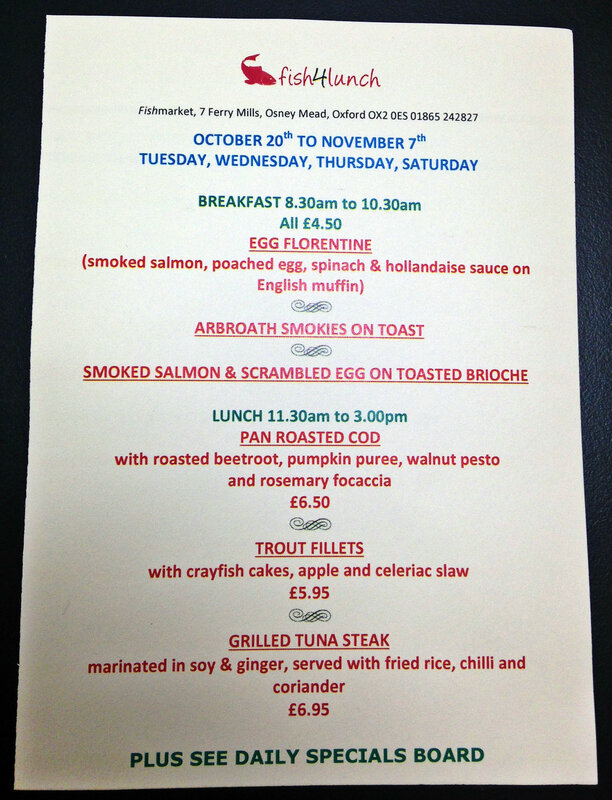 The menu changes every couple of weeks, and every Friday they serve fish and chips. 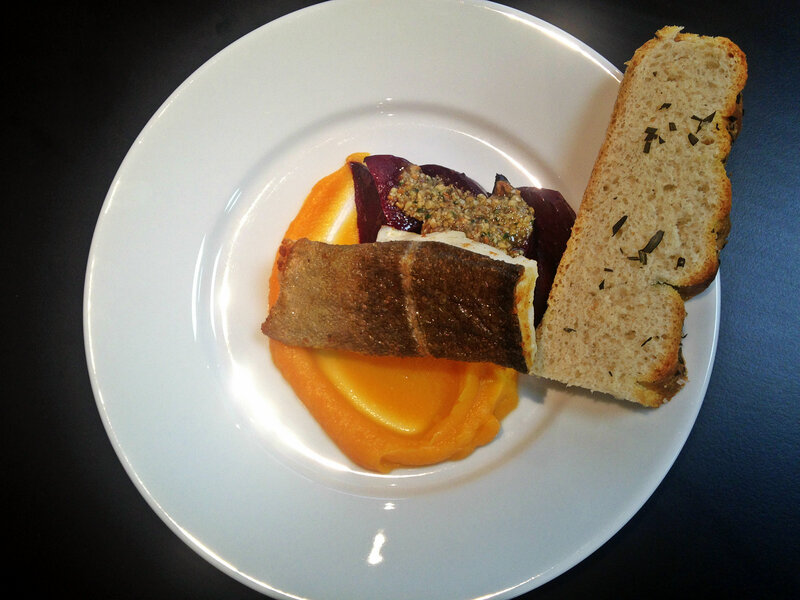 fish4lunch has quickly become a tradition for me and my colleagues – such a treat for lunch!